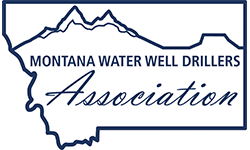 The Montana Legislature directed the Department of Natural Resources and Conservation (DNRC) to update the State Water Plan. DNRC organized citizen Basin Advisory Councils (BACs) in the Clark Fork, Yellowstone, Upper Missouri and Lower Missouri basins. After public comment, their recommendations were submitted to the DNRC where they were combined into one "state" water plan. This plan was presented to the Water Policy Interim Committee and the Environonmental Quality Council in the fall or 2014 and then to the 2015 Legislature. The intent is that this document will guide future water use decisions in Montana. For this reason, Montana Water Well Drillers monitored the committee work and offered comment as appropriate. To view the final document, click here.